Most people know that you can attract traffic and an SEO benefit from social media. This article explains both why and how. SEO and social media are undoubtedly linked based on successful results from Google. However, Google also says that no single social media platform is given special treatment, even though they may be more popular platforms, like Twitter or Facebook. Apart from that, the facts show that there are no specific metrics required to rank up using social media. For example, there is no rule that says if you have 400 Twitter followers then your social media signals (and links to websites) will have a bigger effect than if you have 300 followers. But this doesn’t mean that social media for SEO is entirely baseless. Google Webmasters gives a more comprehensive rundown of its mechanics. If you watch the video, note that Matt Cutts doesn’t say social media signals do not matter, despite what the YouTube commenters seem to think. Building your personal brand will draw more people to your website, help potential clients trust you, and spread the word about your brand and/or your products. These effects of building your brand on social media are similar to any form of brand building on whichever medium/platform you choose. You can use any form of advertising to get people talking about your brand, to get people to follow you and convert for you in one way or another. Such publicity and brand building is not exclusive to social media. One successful example of brand building through social media platforms is the NBA’s marketing strategy for its 2014 finals. The league invested in Snapchat and Google to connect with its many fans, with successful results. The publicity and brand building opportunities that social media offers are conducive to a good SEO profile for your website. However, you should not confuse correlation with causation. As Matt Cutts puts it, just because a web page has a lot of social media links pointing towards it, and it is the top performing page on Google, doesn’t mean any causation is involved. It is a correlation, not a causation. Google didn’t rank up the page because it had the most social media links pointing towards it. It’s the most popular page on the website, and the many visitors had created backlinks to it on their websites, mentioned it on social media, and shared the page with their friends. What Are the Direct SEO Benefits of Social Media? You may learn things from your audience via social media, from simple things such as how many people like your content, to more complex things such as what you can learn about your followers based on what time of day they respond to your posts. If you have a popular post on social media that is drawing people to your web page, then Google will rush to crawl the web page. Google+ is the best for this. Create a little buzz around a post, and Google will crawl and index the same day. It is often faster than submitting the URL through your Google Webmaster Tools account. Draw people to different pages and see how they behave on your website. It may help you identify bottlenecks and poor performing web pages. Consider asking your followers to visit your website and check the navigation and design of your website. Let them give concrete feedback that you can use to improve your site. Some people have enough time on their hands, and some people get a high from giving their opinion. If certain keywords and phrases seem popular, add them into your page titles, Meta title, Meta descriptions, and page elements. Add them into your image Alt texts if appropriate. Consider some of the most popular hashtags on Facebook, Twitter and Google+. Use your social media analytics to get a rough idea of what people are searching for when they find you. 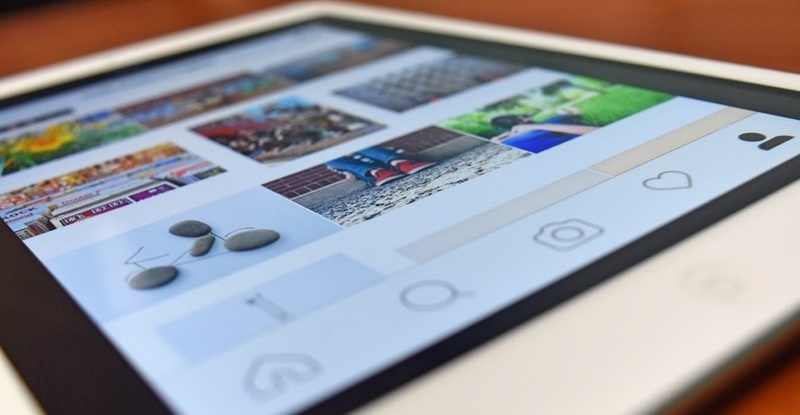 Try out a few topics and titles on social media and see how well they do before you create the content for your website. This also includes the images you intend to add to your web pages. Think up a title, spend five minutes writing a short post on it, and post it on your social media profiles. If you get a positive response, then create a larger article to post on your website. If you can create a buzz about it on social media, you can create a buzz about it on Google. If you’re really not confident about a given topic or title, have them proofread by other professionals for expert opinions first. There are also online tools, like Co.Schedule’s Headline Analyzer, that can gauge how well a certain headline piques an audience interest. 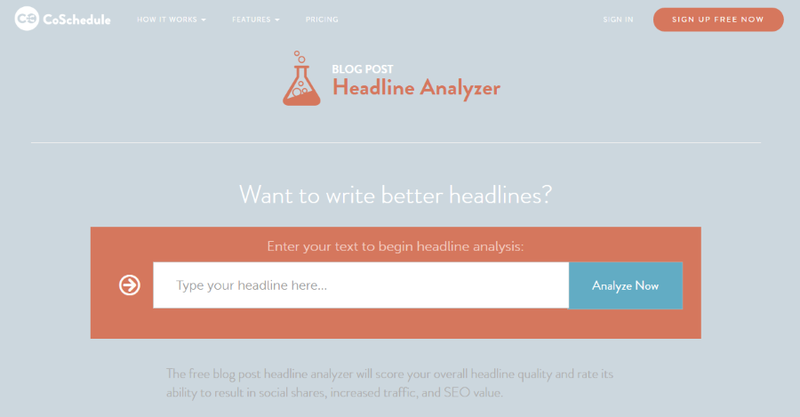 Tap into any one of these to see how well an audience will receive your content header. What people search for on Google is different to what they search for on social media. Plus, Google has been less interested in keywords since its Hummingbird update. Still, social media may produce insights on the effectiveness of your keywords. To run a keyword test on social media, simply use certain keywords or a combination of such keywords in one of your content for social media. This can be an article, and image, or other forms of media. Keywords that spawn suitable results on Google and Yahoo/Bing may not produce similar results on social media. Nevertheless, you should test what appears when you use the keywords on social media because sometimes keyword meanings will seep over into Google. It is difficult to tell just how much Google relies on social media mentions and links, but most online marketers will tell you they have a positive effect on their search engine ranking. Engaging with social media, posting to it and replying to comments is often enough to help send a few social media mentions and links your way. Consider sharing other people’s content and linking to their material with the hopes they will link back. If your website sells a product or service, stick to selling it on your website and with your affiliate advertising. Concentrate on your following and Click-through-rate on social media, instead of trying to get people to buy, sign up or give information. Get people to follow you, and your social media profiles draw in more people. Get them to visit your website, and you get free traffic. Try to sell on social media, and people will stop following, and will shy away from visiting your website. Your reputation is your best asset, and you sully it with promotional posts. At the most, your social media efforts may be used to get people into your sales funnel, which you can do by drawing them to your website. The two most tangible benefits of social media marketing are its effect on your online reputation and the free traffic it produces. Create a reasonable following, and your online reputation will improve, which will have a positive effect on your SEO. Concentrate on your CTR, and you may draw more traffic to your website with links to your website, promotional posts and so forth. What’s a good CTR to following ratio? A 1:5 ratio should be fine for most. For every 1 CTR (promotional) post you create, you create 5 following pages. If you are posting on Google+, you would post 5 items (articles, videos, images, GIFs, etc.) for your following and just one to encourage people to click on your website. It may sound counter intuitive when companies such as Nike and Pepsi have a link to their website in every post they write, but they have a large enough following so that they may do as they please. You are still trying to grow and maintain your following for its traffic and SEO benefits, so you have to pander to your audience a lot more. An example of a company that has mastered this CTR to following ratio and may set a good example for SMEs is e-commerce mogul eBay. According to Boost Media’s David Greenbaum, from being a nondescript ad that appeared to be competing with the giant search engine Google, eBay catapulted its career into viewers’ consciousness by changing a few keywords. This conscious act of moving away from self-promotion to simply featuring brand value for the customer created a great strategy that drew more views towards eBay’s brand. Another way I like to compliment my SEO with social media is to promote my high authority editorial guest posts via well-known influencers. There is usually some compensation involved, but I find the additional visibility can garner a secondary tier of valuable links and social shares that increase the link equity of the guest post. How does Google tie a company’s social activity to it’s company website? How does this social ‘credit’ get applied to a website/blog, resulting in a boost to its SEO? Reason I ask is that we are using an SEO plugin to allow our users to like and share our posts. This plugin takes the user to a 3rd-party URL in order to facilitate social sharing (it pops-up a new window from their URL and ties the share to the user’s social login). The URLs are all no-follow. Wouldn’t this approach break the tie between the website and it’s social activity. If not, how could it tie it back? via a URL in the companies social profile? Doesn’t seem accurate. So many questions and theories about this 😉 But thanks for the insights. I did not know the video you mentioned at the beginning. Still I don’t know if it is (in this context) better to concentrate on one social network or spread… I guess everyone will just have to try out. And that is what I am going to do °° Greetings from Bavaria, M! Thanks Stacey for these useful and specific advice to put in action. Social media channels are the only medium from which I have got almost no results at all for years now. Even with my 10.000 Twitter & Instagram followers (combined), I hardly get any visit after each post I make. Even if have some retweets, it still hasn’t affect my website ranking. It’s supposed that Google notices retweets but I probably need hundreds of them or perhaps 100.000 followers before I get any decent result! But I will keep on trying.